Telltale’s take on The Walking Dead was perfectly timed with the height of the franchise’s popularity, and offered such a pitch-perfect tone that it’s tough to imagine it having come out any other way. But apparently it almost was something different – pending approval from Valve, we might’ve had an episodic story based on Left 4 Dead. According to Sean Vanaman – one of the project leads on The Walking Dead: Season One – the first prototype for the game was based on the Left 4 Dead IP. The studio talked to Valve about making that a reality, but apparently that deal was never finalized. Instead, it became an adaptation of Robert Kirkman’s hit zombie comic. That original, L4D-based prototype was all text and UI, and “almost nothing” carried over to the final game, according to content programmer Carl Muckenhoupt. The prototype did feature an “active world” concept, where things continually happened in the game world around you regardless of how long you took. That idea formed the basis for the active dialog timers in The Walking Dead. Curiously, VG247 spoke to writer Alexis Kennedy today about an unnamed, story-focused zombie survival game that spent years at various stages of development. 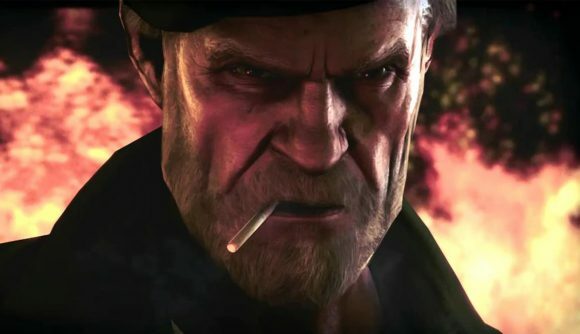 Apparently, it was “based on a popular video game series that isn’t anything to do with The Walking Dead” – that could mean many things aside from Left 4 Dead, but it’s possible that connection persisted. Sean Vanaman and Jake Rodkin, co-leads on The Walking Dead: Season One, went to form Campo Santo after that game’s release. Earlier this year, Valve acquired Campo Santo. That Left 4 Dead spinoff may never see the light of day, but it’s all come full circle in the end.